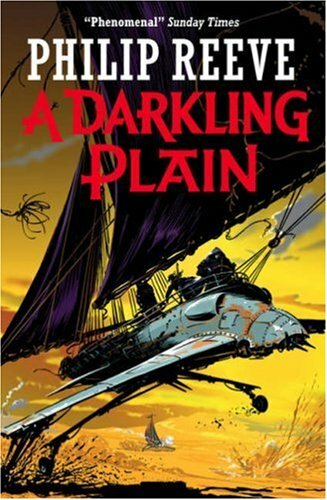 What is the meaning of the title "A Darkling Plain" from Mortal Engines? I'll admit that when I'd first learned of the title, A Darkling Plain, I had no idea what it meant. It actually reminded me of something out of The Dark Crystal movie or some kind of evil spirit. But of course, that's not what author Philip Reeve meant it the title. Just as Reeve borrowed a quote from Shakespeare's Othello play for Mortal Engines, the title of A Darkling Plain is borrowed from Matthew Arnold's famous poem Dover Beach. This part of the poem is reasoned to be referring to the Peloponnesian War. This relates to the novel in several ways. The characters are indeed swept about, often against their will, by the "ignorant armies" of the Green Storm and Tractionists, on the "darkling plain" of the Great Hunting Ground. But just as the key result of the Peloponnesian War, a unified city if Athens was born, so too many clashes are resolved one way or another in A Darkling Plain. Reeve references his choice of title himself towards the end of the book when the character Nimrod Pennyroyal writes a book within a book titled Ignorant Armies. Anyways the book itself is quite a brilliant story and serves as a high stakes conclusion to the quartet. Here's our review. Order A Darkling Plain from Book Despository and get free shipping.